In the manufacturing industry, clear and reliable communication is crucial to the efficiency of the facility. With an ever-moving work force, reliable cellular communication is a must to increase productivity and efficiencies while decreasing expenses. Safety is also a serious consideration, of which effective cellular communication can significantly reduce response time when an employee is in need. 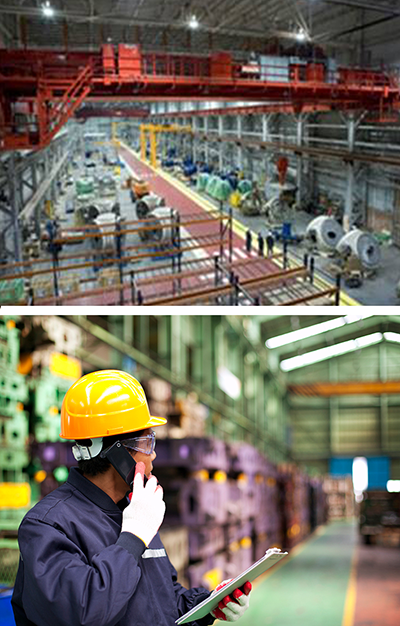 Seamless Cellular can provide a wireless solution for all types of manufacturing facilities, warehouses, and other types of industrial buildings based on your specific budget and needs. Seamless Cellular will design and install a cellular repeater system to meet your specific wireless voice and data requirements, enabling uninterrupted wireless coverage and instant access to essential wireless business applications. Our staffs extensive experience coupled with state of the art engineering ensure the implementation of an effective and trouble free cellular amplifier system specific to your facility and needs.